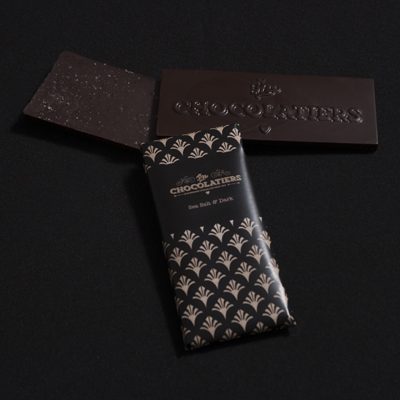 Coarsely ground sea salt embedded in a fine 70% Belgian chocolate bar. All our ingredients are natural, organic where possible, and our couverture is Forest Alliance and UTZ certified. Love for people and planet and you get to treat yourself. Notify me when Dark Sea Salt & Dark Chocolate Bar is available.